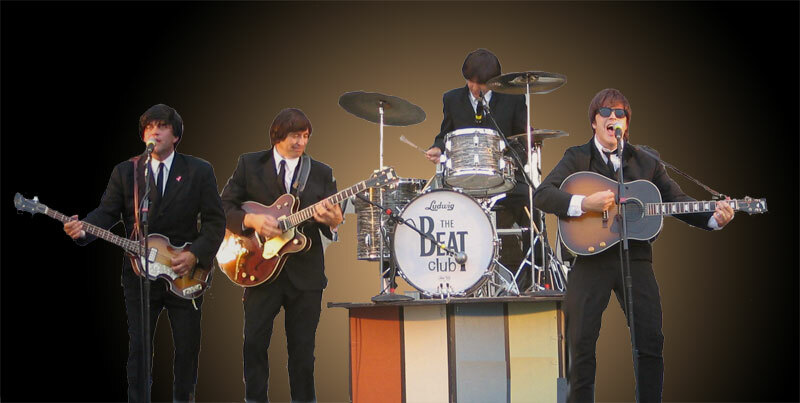 The Beat Club is delivering one of the most authentic Beatle tribute acts in the country! Each member is a "Beatle" veteran, with ties ranging from double first-place honors at national Beatle-tribute band competitions to performances at the Smithsonian Institution in Washington D.C. "Fly-by-night" tribute bands may come and go, but since 1996, The Beat Club has set the standard of what a professional Beatles show should be! From a naturally left-handed "Paul" to actual 60's vintage guitars and amps, this talented foursome has the details down cold! These lads are delivering spellbinding performances for many high-profile events across the Midwest, including opening for Mitch Ryder, Randy Bachman and more. Don't miss your chance to see the best Beatle act around! You'll love them, yeah, yeah, yeah! The Beat Club - Click here for audio.